Unlike synthetic GABA, PharmaGABA appears to cross the blood brain barrier to produce relaxation. It increases brain alpha waves and lowers beta-waves. It is more powerful in this action compared to L-theanine, and its effects are a bit more noticeable. When we become overwhelmed with stress the brain typically responds by producing more of the amino acid GABA (gamma-aminobutyric acid). GABA increases production of alpha brain waves (associated with a relaxed, yet alert state) and decreases beta brain waves (associated with nervousness and hyperactivity). However, many people with sleep, mood, and other brain problems do not manufacture sufficient levels of GABA and supplementation may be helpful. GABA is natural and nonaddictive. 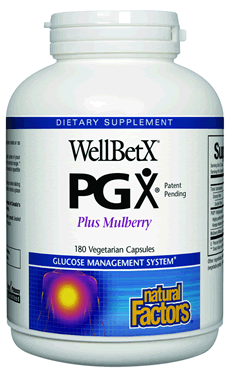 Natural Factors GABA is made with PharmaGABA™, a 100% natural form that appears to cross the blood/brain barrier. In addition, PharmaGABA™ is the only form of GABA that has achieved generally recognized as safe status (GRAS) in the United States. GABA is a natural calming agent in the brain. In fact, it is one of the brain’s most important regulators of proper function and neurotransmitters. Since GABA does not cross the blood-brain barrier very well, virtually all of the GABA found in the brain is manufactured there. This implies that supplemental GABA would not increase levels of GABA in the brain. That appears to be the case with synthetic GABA, but not with PharmaGABA™ which is naturally manufactured from Lactobacillus hilgardii – the bacteria used to ferment vegetables in the preparation of the traditional Korean dish known as kimchi. Unlike synthetic GABA, PharmaGABA™ appears to cross the blood brain barrier to produce relaxation. Like L-theanine, PharmaGABA™ in creases brain alpha waves and lowers beta-waves. However, it appears to be more powerful in this action compared to L-theanine, hence, its effects should be a bit more noticeable. PharmaGABA™ is without any known adverse drug interactions. Other Ingredients: Sorbitol, xylitol, stearic acid, magnesium silicate, silica, fruit flavor (orange and tangerine), citric acid. Contains milk. Contains no: artificial color or sweeteners; no soy, wheat or yeast. Chew 1-2 tablets, up to 3 times per day or as directed by a health professional.